Shenzhen startup chases AI success by creating humanoids aimed at children’s market. This is the second in a series of articles about young entrepreneurs embracing technology to start innovative businesses around China. You can find the first here. Named after the Greek god of wind, the charismatic, pint-sized robot — which measures 34.6 centimeters in height and weighs 1.8 kilograms — is the brainchild of Leng Xiaokun and a small team of students-turned-entrepreneurs. Leng is the founder and chairman of Leju (Shenzhen) Robotics Co. Ltd., a recently established company that is betting on a time in the near future when machines like Aelos are common in homes around the world. “One day, robots will play an essential role in people’s lives, in much the same way that smartphones are indispensable to us today,” Leng predicts. One day, robots will play an essential role in people’s lives, in much the same way that smartphones are indispensable to us today. Leng is not alone in his optimism. 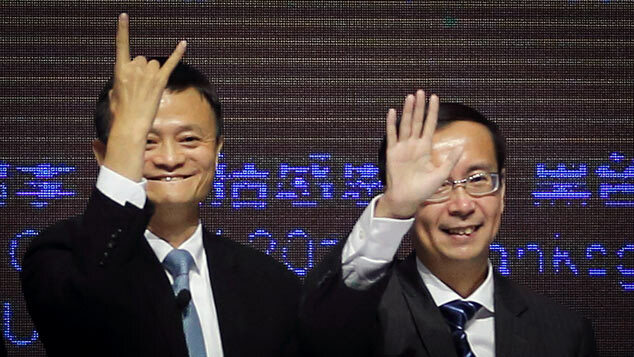 Both around the world and in China, entrepreneurs are elbowing in for a slice of what is still an unproven market. While industrial robots are ubiquitous in factories and workshops, nonindustrial or service robots are still trying to win mass-market appeal. About 5.4 million service robots for personal and domestic use were sold globally in 2015, generating sales of $2.2 billion, up 4 percent from the previous year, according to data from industry group the International Federation of Robotics. But within the service robot category, humanoid models like Aelos, which often have heads, bodies, and movable limbs, are still a relatively small piece of the pie. The sector is largely dominated by foreign manufacturers like Aldebaran Robotics, the French company behind Nao, one of the world’s best-known humanoid robots. An advanced humanoid robot can perform everyday tasks in the workplace or at home. Currently available models have the ability to mimic human behavior, recognize objects and people, maintain a conversation, and even dance with the elderly at assisted living facilities. Aelos, the product of seven months of development by Leng’s company, is designed primarily for educational and entertainment purposes, and is aimed at the children’s market. “It will be a good companion for children,” Leng says. “If a kid begins to play with the robot at 5 or 6 years old, it will store all of their memories until they grow up,” he adds, referring to Aelos’ ability to record and participate in conversations. Since the robot’s launch in August, Leju has sold some 1,200 Aelos models, according to the company. 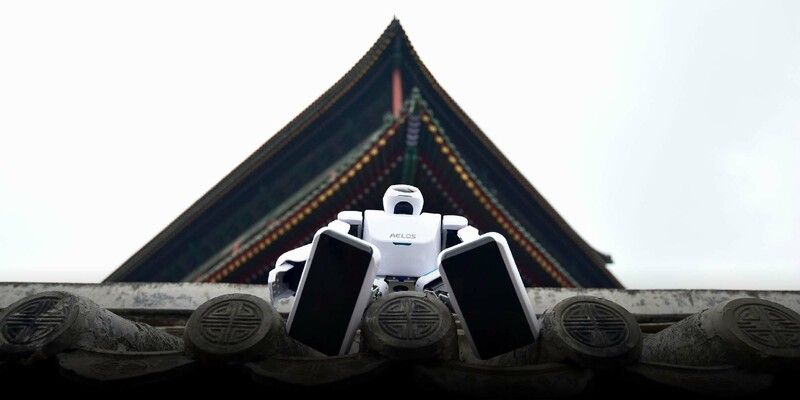 The robot, which had a special launch price of 2,999 yuan ($430), currently retails in China for 3,999 yuan. Aelos has 16 humanlike joints and can perform difficult actions like dancing, yoga, jumping, and gymnastics. It can also carry out various voice functions, such as language interpretation, and users can control it remotely using their smartphones. Leng traces his interest in robotics back to his own childhood in eastern China’s Shandong province. His favorite hobby was taking things apart, from toy cars to computers, and then reassembling them from their individual components. However, Leng didn’t see his first robot in a laboratory until he attended a class in high school. “It was a humanlike robot, different from any toys I had ever played with before,” he recalls. 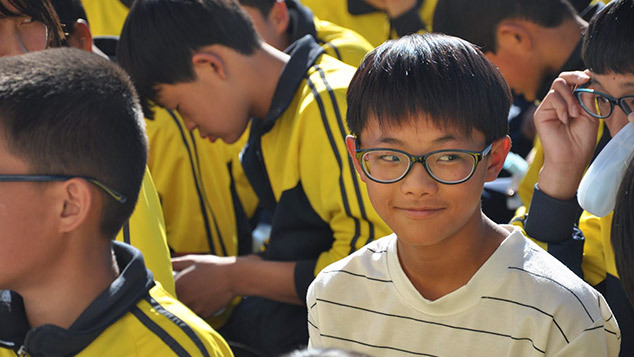 Leng was also selected to attend various robotics contests, and after winning a silver medal at a national competition, he was admitted to Harbin Institute of Technology without having to take the gaokao, China’s intensely competitive national college entrance examination. Located in northeastern Heilongjiang province, Harbin Institute of Technology (HIT) is one of China’s pioneering research institutions for robotics, and its laboratory is one of the earliest of its kind. It was credited with developing China’s first spot-welding robot in 1986. Leng and his team first provided prototypes to students to test the waters, but these low-cost robots also appealed to other university labs, and so they began to receive a growing number of orders. 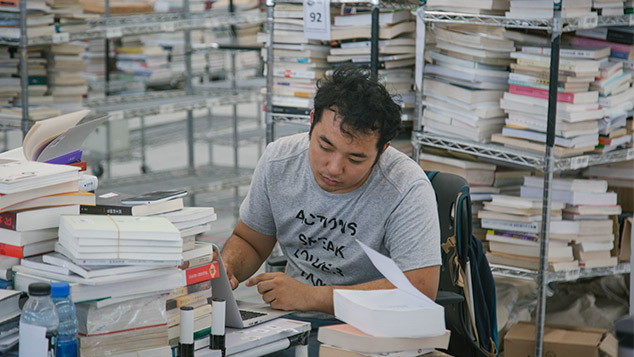 Their company, Leju, was established in October 2015 in Harbin, after garnering 30,000 yuan in subsidies from the university and investment of around 2 million yuan from the founders themselves. 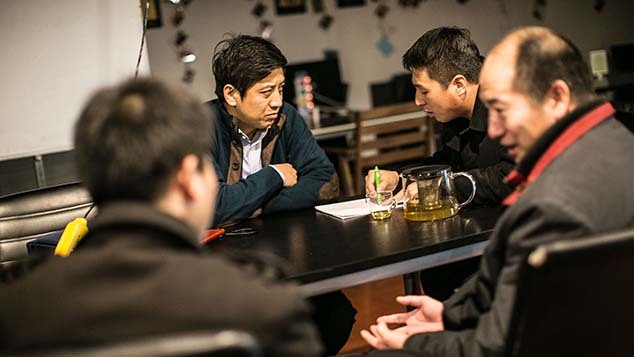 The three men — Leng, Chang Lin, and An Ziwei — recruited 25 students, mostly from the university’s master’s and doctoral programs, to staff the company, and Leng helped the university launch a dedicated robotics club. Today, 23-year-old Leng leads a team of more than 40 employees while continuing his doctoral studies at HIT. Leju’s research and development team has remained at the university, though production takes place at a factory in Zhuji, in eastern China’s Zhejiang province. That production line has capacity to produce up to 150 robots per day. The team moved its headquarters to technology hub Shenzhen in March because the city “has a stronger entrepreneurial atmosphere and will help us to develop into a more standardized company,” Leng says. 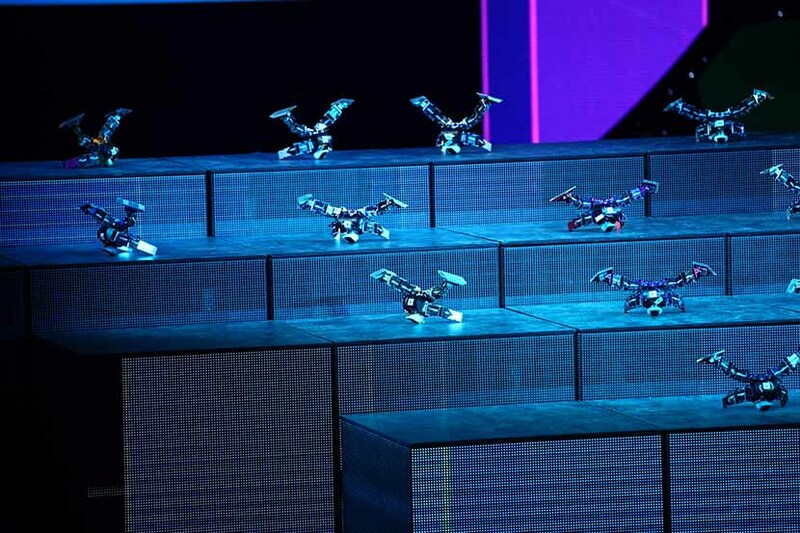 Underlining the competitive race to build robots with wide appeal, Shenzhen is home to nearly 50 service robot-focused companies, according to Robohub, a nonprofit online robotics community. Investors, too, are jumping on board, with global market research firm CB Insights estimating that the total volume of global investment in robot startups increased by 115 percent to $1.4 billion from 2014 to 2015. “The capital market has been a bit crazy and continues to burn through money, despite the fact that humanoid robot technology is still immature,” Leng says. In March, Leju received 10 million yuan from venture capitalists. Then in July, UBTech Robotics, a Shenzhen-based rival, raised $100 million. Some film-lovers who think robots can do everything might be disappointed to find that the technology still lags far behind their expectations. Still, the buying public appears skeptical, partly because of the disconnect between what consumers think a robot should be able to do and what they actually can do. “Some film-lovers who think robots can do everything might be disappointed to find that the technology still lags far behind their expectations,” says Ke Zhendong, Leju’s chief product officer. But there are signals that demand might soon begin to take off. 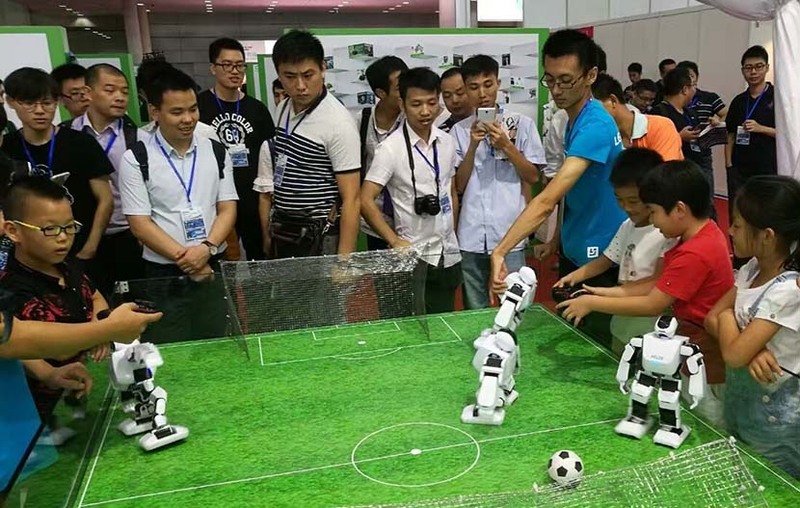 According to a white paper on educational robots issued by Beijing Normal University in September, the global scale of the educational robot market is predicted to grow to $11.1 billion dollars by 2021, from $1.8 billion dollars in 2016. In China, the market for children’s products has also seen a boost following both the introduction of the two-child policy and a shift in consumption habits of young parents born after the 1980s. Even so, while some parents appear to be warming to the prospect of using robots for educational purposes, there is no guarantee that they would be willing to pay top dollar for that privilege. Xu Wen, a 37-year-old mother from Shanghai, says she has bought dozens of Lego toy sets for her 10-year-old son over the years to help boost his IQ. “For robots, I prefer those educational ones that can develop my son’s intelligence,” Xu says. She’s got her eye on a newly launched “robot” from Chinese electronics brand Xiaomi that costs a fraction of the price of Aelos. For now, though, Leng is just hoping to use Aelos to get a foothold in the market, he says, adding that the company plans to launch the Aelos II, a more powerful humanoid service robot, next July. The new generation, which Leng expects to price at around 15,000 yuan, will have additional functions such as controlling home appliances and monitoring human health. This story has been updated to give the current price of the Aelos robot.